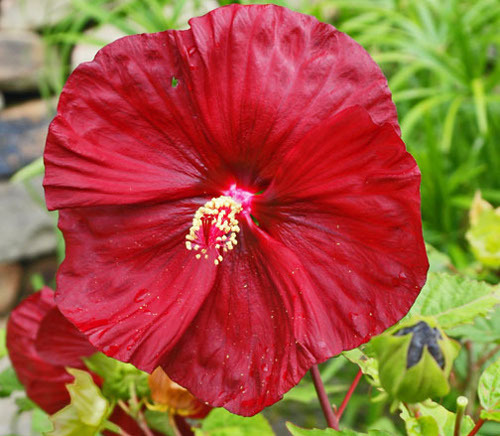 We do not mail order hibiscus at this time. We only sell them potted at the nursery. 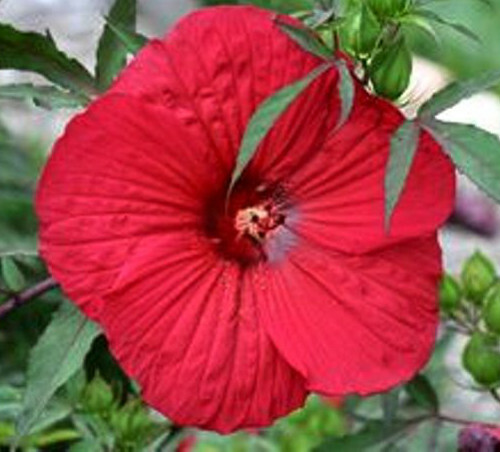 We grow two types of hardy hibiscus. The first type die to the ground each fall and are one of the last plants to come back up in the spring. 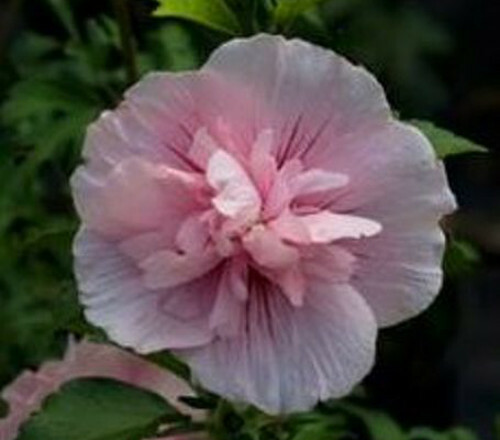 It is the Rose Mallow type. These plants thrive in full sun. 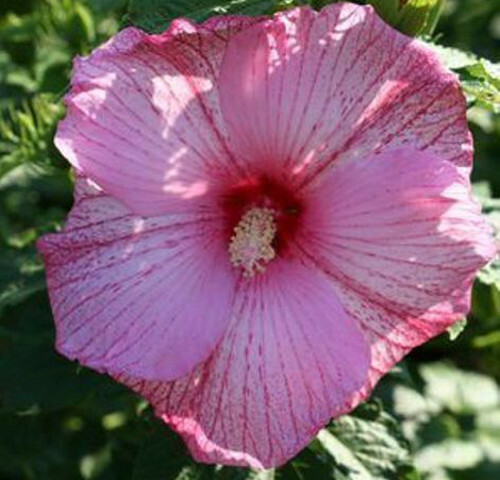 Some varieties (Swamp mallow) have deeply cut leaves like marijuana and those will usually grow in water or in garden soil. The others with the rounder type leaves ill not. 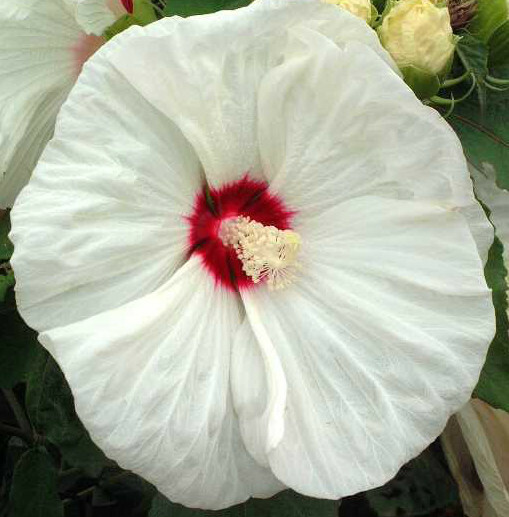 Both types have very large flowers that can reach up to 12 inches across. 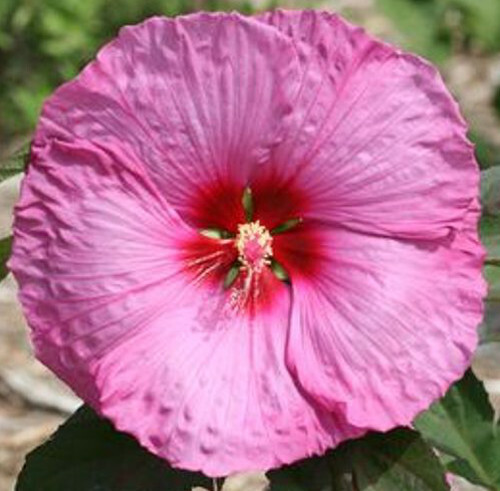 The rose mallow bloom from mid-summer until frost here in central Oklahoma. 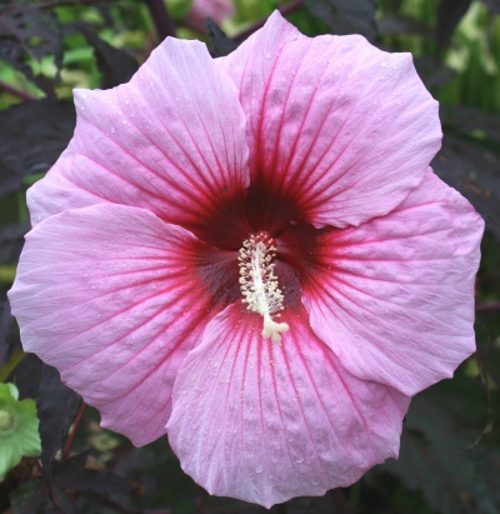 Some varieties are short, reaching only 18" to 24 " tall and some can grow six to 8 feet tall. 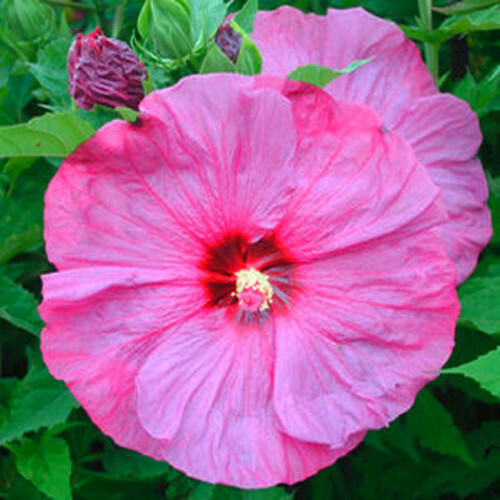 A newer development in the rose mallow type is the darker purple or red leaves that can be really striking when grown in full sun. 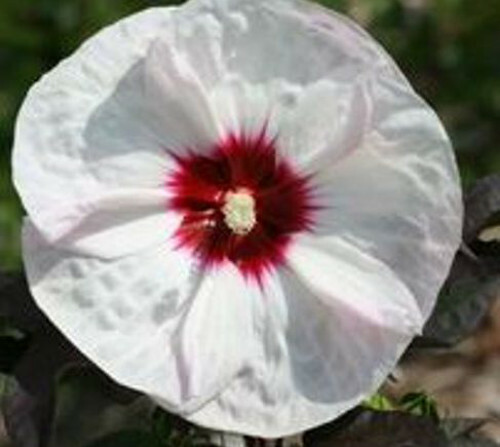 The flower colors range from pure white, white with red eye, white with shades of pink or red mixed in and red veins, solid pink, pink with red eye , and red. 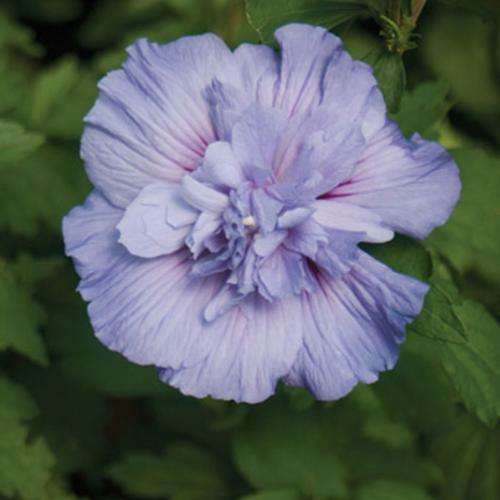 These plants will grow in almost any garden soil and once established, require very little care. The clump will get larger over time but are definitely not invasive. During the winter you just cut the old stalks down to the ground and in late spring new ones will appear. We are constantly looking for new color and leaf patterns to offer our customers. 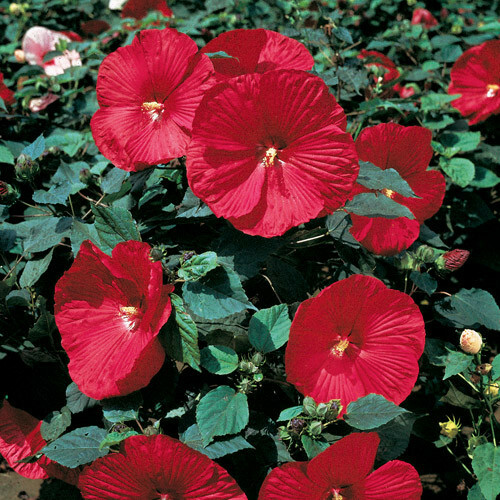 We usually have all the varieties shown below but the best selection is in the spring or early summer. 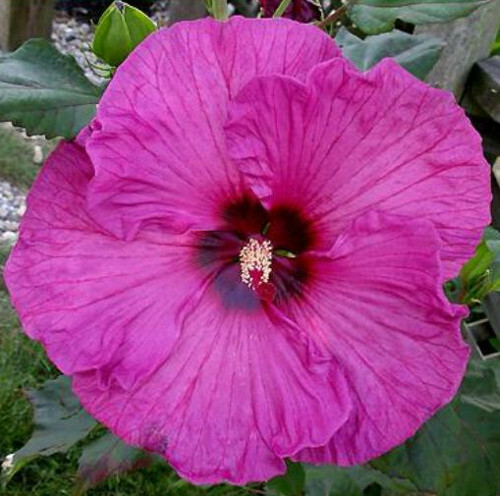 This is another type of hardy hibiscus. 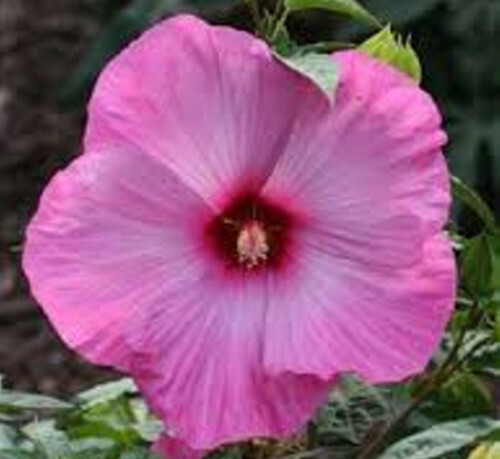 These are actually flowering shrubs that get larger each year. they do not die to the ground. Some can get 10 to 12 feet tall or more over time. 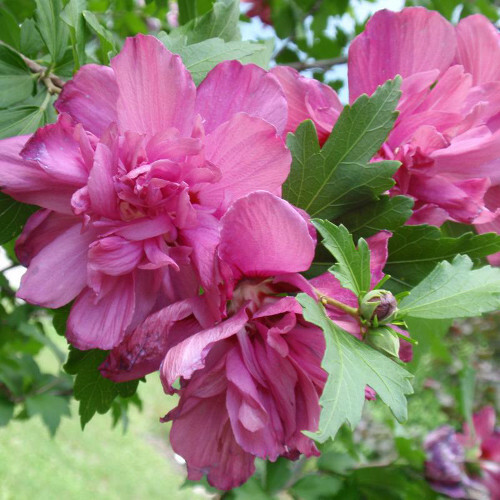 You can keep them trimmed into a relatively short shrub of 4 to 6 feet or just allow them to keep getting taller and form a small to medium sized tree. 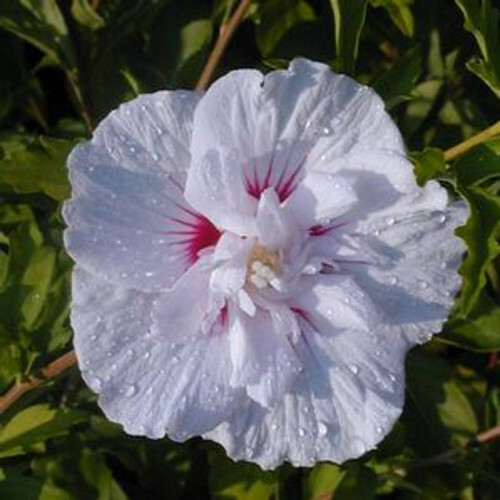 These plants start blooming in the early summer and continue until frost. 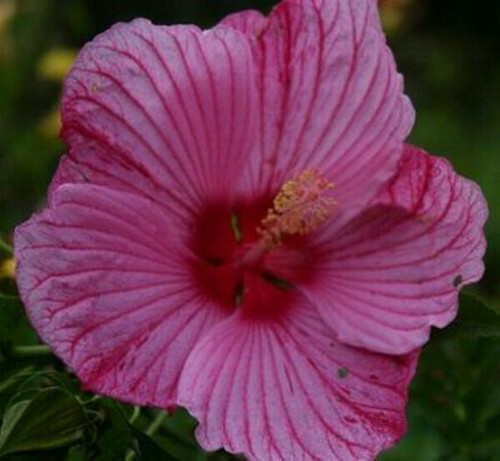 They come in colors ranging from white, pink, red, lavender, purple, some with red eyes, single flowers and double flowers. 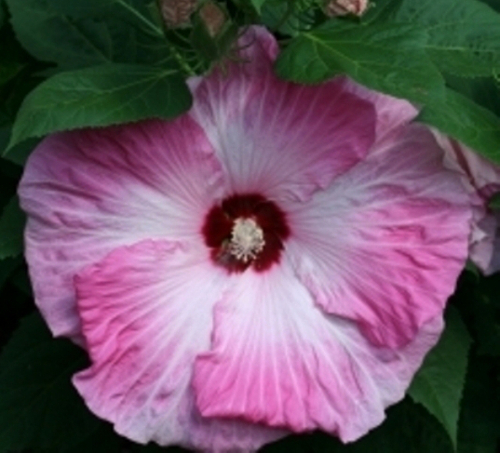 They will grow in a wide variety of soils and virtually anywhere in the United States. 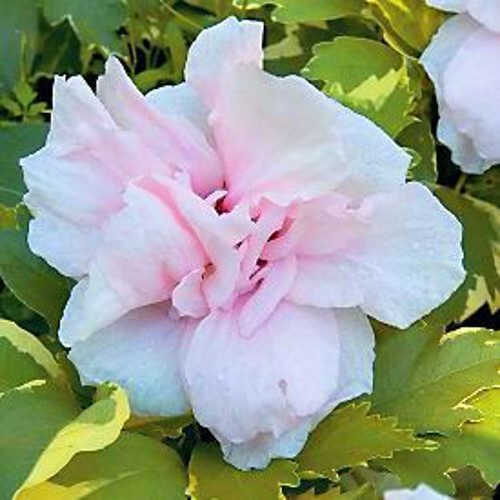 Once established, they require very little care other than occasional watering during the hot summer and once a year pruning once they get as large as you want them. 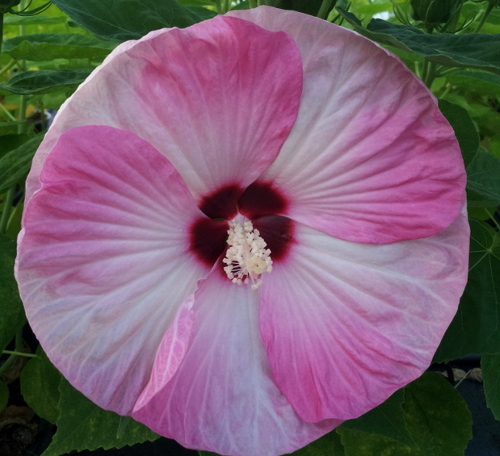 Right now, I only offer some of the double blooming varieties. I just like them more and they seem to have much fewer seeds to come up in unwanted places. Below are the ones we offer at this time.